bride.ca | Honeymoon Destinations: Fiji! Fiji is well known as a romantic honeymoon destination and as such many of the facilities have been designed-for and tailored to couples having their first trip away together after vows. The ultimate romantic hideaway, many of the resorts will only accept couples and have packages that specifically meet the needs of honeymooners. There are several available so be sure to shop around and find the best deal. The resorts also offer a huge number of land and sea activities. Horseback riding, scuba diving, garden tours and sea kayaking are some of the best. You can also rent a yacht or catamaran and go off adventuring alone together. 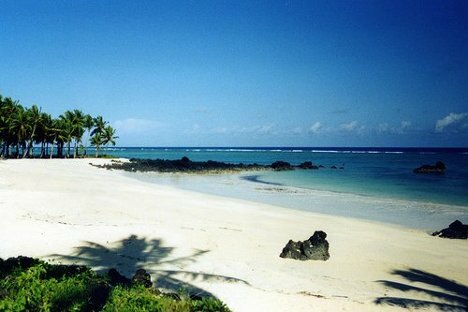 There are a tonne of great private beaches and quiet spots to be found amongst these tropical islands. 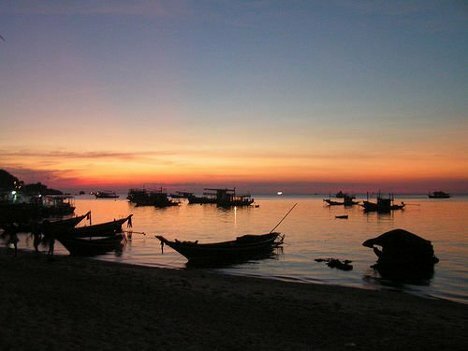 If you do take a boat out, be sure to stop at one of the many famous fishing or snorkelling sites. These are popular all year round and have some of the most amazing sea life in the South Pacific. Their summer months are known for calm seas and give liveaboard and dive boats a great opportunity to visit the more remote reefs and island locations. One of the thrills of a Fijian honeymoon is being closely cramped together while rocketing at high speeds past the natural maritime scenery in a Jetboat. The exhilarating rides leave every 30 minutes from the main marina in Denarau and will take you through a variety of gorgeous landscapes. Tribal mangrove forests along the Nadi River are some of the most spectacular. 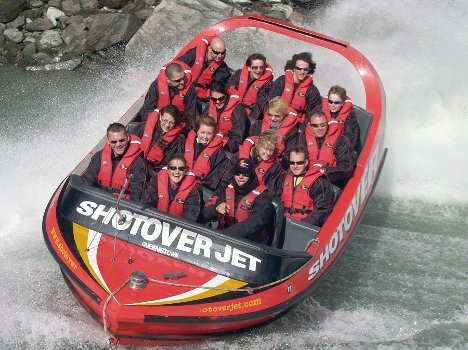 Year round warm weather and sunshine mean its always a good time to go and experience this thrilling joy ride. No Fijian honeymoon escape is complete without a rafting adventure down the Navua River. Start with a scenic 2 hour coach ride up the Coral Coast and then be taken by water taxi to the Navua's upper reaches. Pause for a BBQ picnic lunch before tackling the white water together. 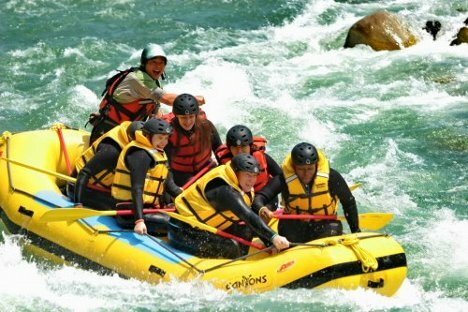 Most rafts will sit up to 10 people so this is also a great chance to meet other honeymooners and travellers. Be sure to take plenty of water and sunscreen. 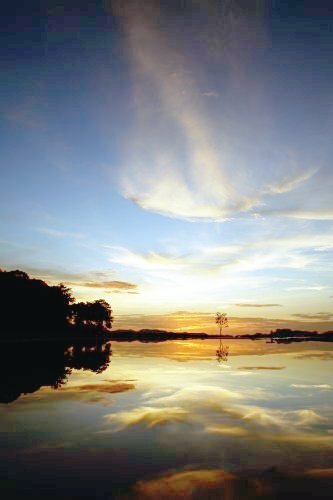 Fiji has some of the world's most spectacular tropical landscapes and a trek with your partner can be one of the best ways to see them. Waterfalls, gorges, creeks and pristine rainforest undergrowth are all easily accessible from the many towns that dot the islands. Take a dip in a cool island stream together or bask in the sunshine at a hidden pond. There are plenty of romantic nooks and crannies to find in the jungle that will let you have secluded privacy for an afternoon or evening away from the main tourist areas. 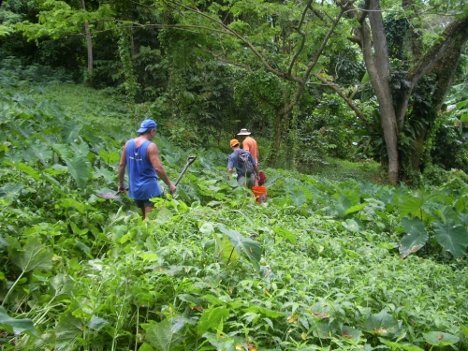 Some of the best treks are out of Nukuere village, Nadi Bay and around the Mt Evans ranges. This five hour honeymoon excursion is a real treat. The seaplane will deliver you to the Sawa-I-lau caves with a spectacular scenic ride over the Mamanucas and Yasawa islands and their interconnected coral reefs and deep blue waters. After landing, you can feel free to explore the caverns and passageways. There are guides available to take you through the smaller and more complicated routes. 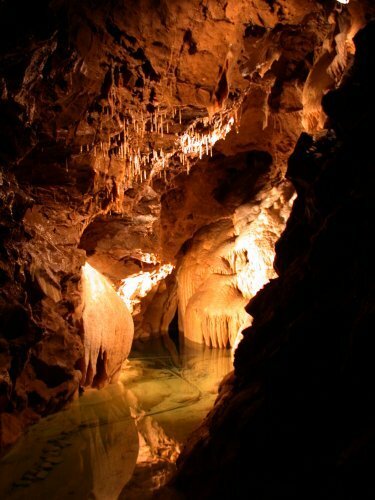 Or you can simply bask in the main cavern and enjoy the natural indoor scenery. There are also some great snorkelling spots in here so if you do make the trip be sure to either take your mask or rent one from the guides. There are a tonne of tour companies that offer cruises throughout the islands. If you're sick of cooking and want to be pampered for a few days of your Fijian honeymoon this is definitely a great option. Many different evening and dinner cruises are available depending on your taste. Sip cocktails in the evening or marvel at the 5 course seafood feast. Or sit out on deck and enjoy the romantic evening, sunset and moonlight. If you have the opportunity, choose a tour with traditional Fijian entertainment and Fire Poi displays when the sun goes down. Alternatively, take a day cruise that leads you between the smaller islands. 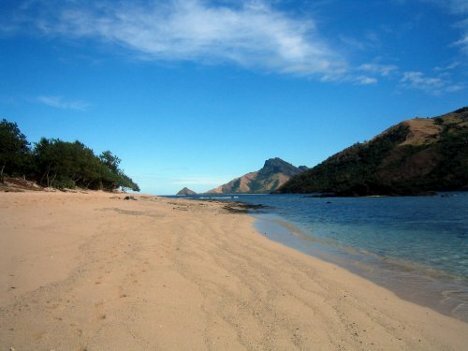 Explore hidden beaches and romantic spots that the main tours don't offer. Lazing by lagoons, snorkelling and simply letting the day melt away in the tropical sun are all great honeymoon activities and are even better if you're on a secluded piece of sand. 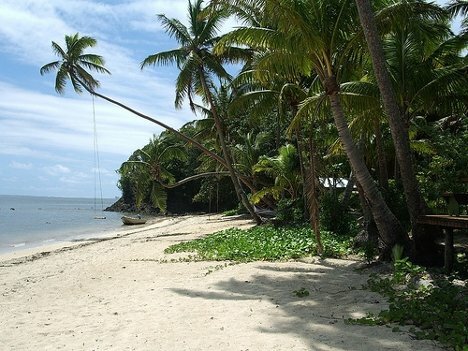 Suva is Fiji's capital and a must see on your tropical honeymoon escape. 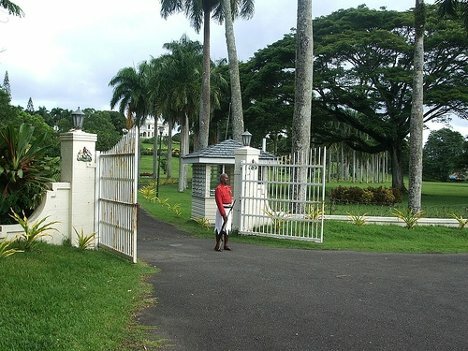 The rich colonial history means there are plenty of sights, not least of all, the President's residence. This holds Albert Park (also home to the annual hibiscus festival in August) and the Thurston Botanical Gardens. While many people will visit Fiji during their winter (our summer), some of the best deals for a Fijian honeymoon and the most favourable weather conditions can be found during their summer months, between November and April. The temperatures get up to a comfortable 30 degrees Celsius at this time of year. Oceanic plankton does reduce visibility in the ocean, but it also attracts manta rays in large numbers. 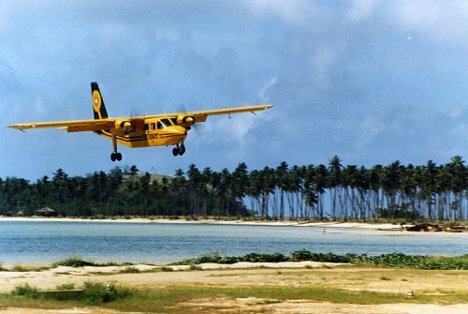 This is one of the most popular methods of travelling to and from the Fijian Islands. 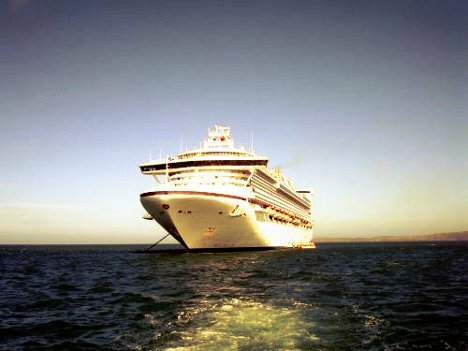 Cruises regularly run throughout the South Pacific leaving primarily from Australia and New Zealand. There are also a variety of yachting options for the more experienced ocean goers. Yachts can be rented from many Australian ports or even found upon arrival in Fiji. Also, if you're feeling extra adventurous consider travelling by Cargo Boat. These can be organised through an American company called Freighter World Cruises. Or speak with individual captains at the docks in the South Pacific. This is a simple and function method of travel to and from your Fijian honeymoon. Fiji's location in the Pacific makes it a popular top over for flights between Oceania and North America. Many airlines will fly direct from Vancouver to Nadi International on the way to Australia. While if you're coming from Toronto you'll probably end up with a stop over in LA or Chicago.